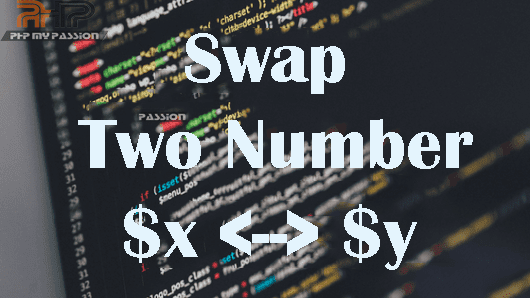 Swap two number generally is the process of interchange two variables with each other. Just suppose you have X whose value 10 there is another number Y with value of 20. Now if we swap these two number with each other then the X value will change to 20 and Y value will change to 10. So here I am gonna explain with a simple PHP program.